Nuclear signalling is the core of responsible nuclear weapon ownership. It was a difficult task during the Cold War, and shaping perceptions and communication of nuclear weapon intent has become more complex, nuanced, and important in a world with multiple nuclear powers and raising tensions. A rapidly evolving information and communications paradigm that is outstripping the ability of traditional signalling to achieve coherence and stability has added to this challenge. All four Nuclear Weapon States (NWS) in the NATO-Russia dynamic consider themselves responsible and claim to have reasonable declaratory policies aimed toward deterrence and nuclear weapon employment only in the most extreme level of national survival. Yet two of them, Russia and the US, have recently declared an expansion in the range of their nuclear arsenals, at best reversing some of the reduction gains made in the last decades. These expansions, which include dual-capable less-than-strategic capabilities, have been accompanied by speeches, tweets, and documents which could be construed as casting doubt on the endurance of the stated in extremis intent. This report examines the current doctrine and signalling of all the protagonists and the effect of recent developments on the risk of misperception or unwanted escalation. It concludes that these risks are higher than they have been for several decades and are rising. Proactive effort is required to reverse this. 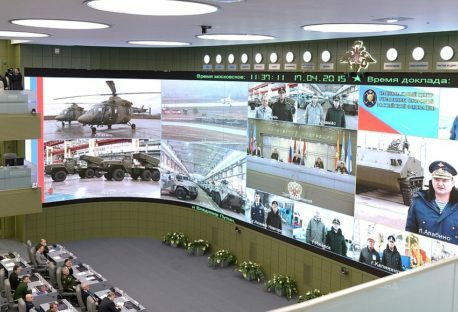 NWS on either side of the NATO-Russian borders must carefully examine signalling options that can increase stability and reduce the risk of miscalculation. 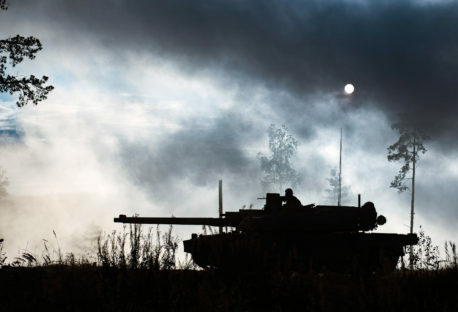 While action is required by all relevant states, the author has drawn on his NATO and UK experience to offer some recommended actions for both these actors. Exploring the possibility of NATO having a more moderate nuclear policy than any or all its constituent Nuclear Weapon States (UK, France, US). Studying and eliminating inconsistencies between long-term and shorter-term policies and statements to improve the balance and coherence between all signalling measures. Discussing diverging from the current US policy of countering non-nuclear threats with nuclear weapons. 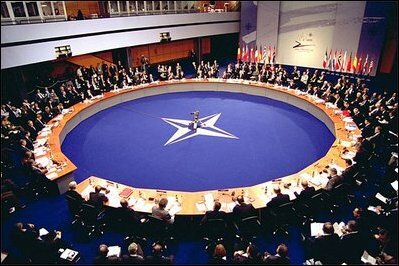 NATO members should not have issues with NATO having a more restrained nuclear policy than any of its nuclear members. Improving the relevance of, and participation in, routine nuclear exercises by NATO leaders to increase the nuclear experience in the Alliance. Conducting a thorough analysis of the use of deliberate ambiguity in declaratory statements. Security assurances can be clarified and streamlined to reduce any uncertainty. 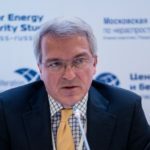 Working to better understand Russian nuclear signalling through deeper analysis, internal discussion and establishing a dialogue with Russia. This should be a priority for the NATO Russia Council. Continue efforts to bring France inside NATO’s Nuclear Policy Group to increase coherence of policy and posture and enhance the credibility of the Alliance’s nuclear deterrence. Advocate for a path of restraint within the P3 (UK, US and France) and NATO; extending to the five Nuclear Weapon States and other nuclear armed states. Oppose policy options (such as new dual capable platforms and/or non-strategic weapons) that weaken stability or risk lowering the nuclear threshold in crisis and conflict. Continue to make the case regarding the advantages of its restrained capability and declaratory policies to influence NATO policies and counter the more inflammatory and potentially destabilising options. Seek further opportunities to signal UK restraint without diminishing strategic deterrence, including re-examining maintaining an ambiguous declaratory policy (including examining no first use and sole purpose). Establishing direct dialogue and mechanisms with adversaries to reduce 21st century challenges to signalling and interpretation. To make effective progress, activities in the nuclear deterrence domain would need to be unshackled from other areas of contention between NATO and Russia. Whilst this is complex and difficult to achieve, the author assesses that the benefits outweigh the risks, noting that they do not necessarily require reciprocity from Russia to have a positive effect.